Article written by Southern Reality inc.
Open houses are looking less and less favorable in today’s market. 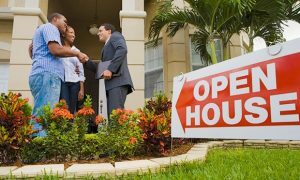 You may believe that an open house is the best way to draw interest from buyers. This interest can then translate into sales, leaving you free to move to your new home. However, this may no longer be the case as open houses can essentially do more harm than good now. Here are some reasons why you should rethink whether or not you want to hold an open house. When you’re selling your home, time is always money. The longer you have your home on the market, the less of an overall return you’re going to see. This applies to an open house as well. Holding an open house can rack up costs over time. First of all, the amount of electricity that you’re wasting just running the air conditioning unit and the lights could be for nothing. That utility bill could be hiked up – and you’re going to have to deal with is until the house is fully sold. Open houses have taken a severe beating from websites and mobile apps that allow buyers to look into every room of the house. The amount of features that are available to you, as a buyer, far surpasses everything that an open house has to offer – minus the free food. Buyers can even be alerted when new homes go on the market. This saves them both time and money and will allow them full access to a home without even having to leave their couch. Kuba Jewgieniew is the head of Realty ONE Group, a real estate brokerage firm that has been ranked as one of the fastest growing companies by INC. 500.